Commissioners discuss increasing the demolition tax. The Housing and Homelessness Commission on Thursday recommended increasing the tax to $15,000 per building and $5,000 per residential unit. 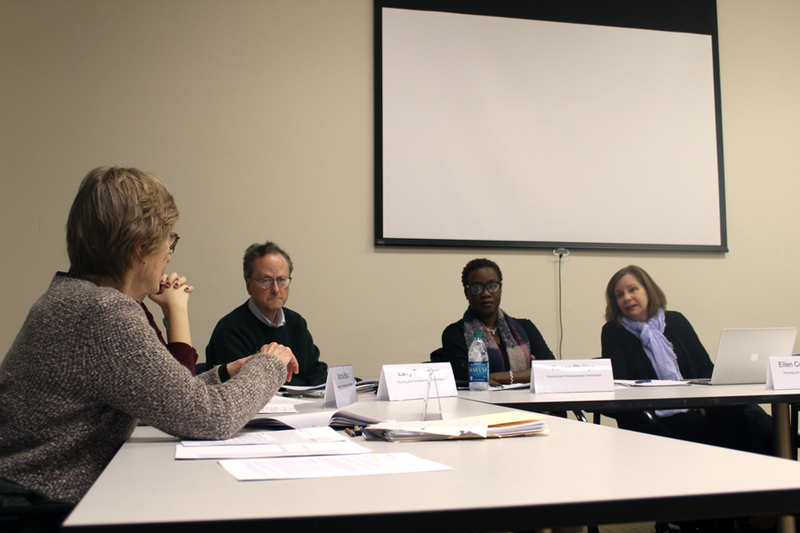 The Housing and Homelessness Commission voted unanimously Thursday to recommend that City Council increase the demolition tax, one of Evanston’s main sources of funding for affordable housing. When applying for a permit to demolish a residential building in Evanston, property owners or developers pay a tax of $10,000 per building or $3,000 per residential unit, whichever amount is greater. The commission voted 8-0 to recommend to increase the rate to $15,000 per building and $5,000 per residential unit. While the city previously considered implementing a graduated system where properties of differing value would be taxed differently, the cost of hiring an appraiser was too high, said Savannah Clement, a housing policy analyst with the city. The current rate has been in effect since 2007, Clement said. To date, Evanston has raised more than $3.3 million for the Affordable Housing Trust Fund through the demolition tax as of 2014, according to city documents. In addition, the commission also examined the affordable housing fund’s bylaws, but no new changes were adopted in Thursday’s session. The commission also discussed Monday’s special City Council session, devoted to affordable housing. Aldermen focused on a proposed development at 1050 Howard St. The developers, Evergreen Real Estate Group and the Council for Jewish Elderly, proposed a 60-unit building with elevator access that was affordable and accessible for seniors. Aldermen voted Monday to write a letter of support for the development to the Illinois Housing Development Authority, committing $2 million in soft funds from the city in the process. While commission chair Ellen Cushing said on Thursday that she supported the project, she expressed concern that the Housing and Homelessness Commission had not been asked to examine the proposal before it was submitted to Council. “I just want to flesh out that, if we’re truly not going to be in a position to recommend how affordable housing funds should be spent, then it shouldn’t be in (our) ordinance,” Cushing said. Cushing emphasized in an interview with The Daily that she was not opposed to the new development, but she felt City Council was moving forward without clear priorities for affordable housing in Evanston. Cushing said senior housing could be an emphasis for the city’s plan for affordable housing, but aldermen need to communicate their goals with the commission.